Bill O'Reilly is used to attracting criticism for what he says on Fox News. But over the last week, O'Reilly has mostly drawn scrutiny for what he did -- or didn't do -- long before he became the top-rated host in cable news. What started with questions about his accounts from the Falklands War has widened with fresh doubts about other stories he's told over the years. Here's where the dispute stands. The challenge: Liberal magazine Mother Jones questioned O'Reilly's claims about covering the 1982 Falklands War as a correspondent for CBS News. The magazine's report last week cited several examples of O'Reilly saying that he covered the conflict from a "war zone," a "combat situation" or "in the Falklands." O'Reilly and his CBS News colleagues were actually based in Buenos Aires, thousands of miles from the Falkland Islands. O'Reilly has also claimed that his cameraman was injured and "many were killed" during a chaotic protest in Buenos Aires that erupted after the war ended. There is no record of fatalities at that protest, and some of O'Reilly's former CBS News colleagues said they have no recollection of a cameraman being "run down" and bloodied in the mayhem, as O'Reilly has claimed. O'Reilly's response: O'Reilly lashed out at both Mother Jones and his former CBS News colleagues. He branded David Corn, one of the co-authors of the Mother Jones report, a "liar" and an "irresponsible guttersnipe," and insisted he never claimed to have made it to the islands. "I said I covered the Falklands War, which I did," O'Reilly said on his show last week. On Monday, after several CBS News staffers gave support to the Mother Jones report, O'Reilly turned his attention to his former employer. He showed footage of the Buenos Aires protest in an effort to rebut a former CBS News correspondent who described it as "relatively tame." O'Reilly also brought on former NBC News bureau chief Don Browne, who backed O'Reilly's characterization of his time in Argentina. "It was a country at war," Browne said. A spokeswoman for Fox News said that O'Reilly has the "full support" of the network's senior management. The challenge: The liberal watchdog group Media Matters for America challenged the veracity of O'Reilly's dramatic story about his investigation into John F. Kennedy's assassination. O'Reilly has claimed repeatedly -- both in his bestselling book, "Killing Kennedy," and on Fox News -- that he was at the scene when George de Mohrenschildt, a friend of Lee Harvey Oswald, committed suicide. 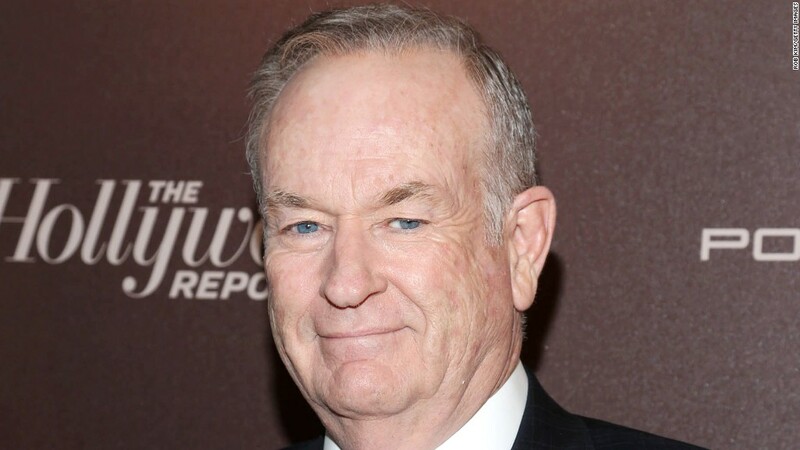 O'Reilly wrote in the 2012 book that, as a reporter for a Dallas TV station, he was outside a Palm Beach, Florida, home when he "heard the shotgun blast that marked the suicide" of de Mohrenschildt. A JFK assassination expert and O'Reilly's former colleagues believe that account to be a fabrication. Jefferson Morley, who runs the website JFKFacts.org, first disputed O'Reilly in 2013. Morley obtained recordings of phone calls from the day of the suicide between O'Reilly and a congressional investigator involved in the JFK assassination probe. CNN later obtained higher quality versions of the recordings in which O'Reilly's voice can be clearly heard. In the phone calls, O'Reilly makes it clear that he was in Texas, not Florida, according to Morley who has listened to the tapes. Media Matters brought attention to Morley's report and interviewed two of O'Reilly's former colleagues at the Dallas TV station, both of whom said that he was not at the scene of the suicide. O'Reilly's response: Silence. Neither O'Reilly nor Fox News have directly addressed the allegations about his JFK story. A spokeswoman for Fox News directed inquiries from CNNMoney to Henry Holt and Company, the imprint that published O'Reilly's book on the Kennedy assassination. In a statement, Henry Holt and Company defended O'Reilly. "We fully stand behind Bill O'Reilly and his bestseller 'Killing Kennedy' and we're very proud to count him as one of our most important authors," the company said. When pressed for specifics, the company dismissed the allegation and said it won't be investigating his disputed account: "This one passage is immaterial to the story being told by this terrific book and we have no plans to look into this matter." The challenge: Media Matters followed the JFK story by posting two clips of the Fox News host recounting how he witnessed the murder of nuns while covering the civil war in El Salvador. In December 2012, O'Reilly said that he "saw nuns get shot in the back of the head" during his coverage of the conflict. O'Reilly didn't arrive in El Salvador until after three American nuns and a lay woman were shot dead by Salvadoran national guardsmen in 1980. O'Reilly has acknowledged as much, saying in 2009 that he arrived in El Salvador "right after" the infamous murders. O'Reilly's response: The immediate reaction to the report from O'Reilly's circle was dismissive. "Bill O'Reilly has already addressed several claims leveled against him," a Fox News spokesperson said in a statement. "This is nothing more than an orchestrated campaign by far left advocates Mother Jones and Media Matters," the spokesperson continued. "Responding to the unproven accusation du jour has become an exercise in futility. FOX News maintains its staunch support of O'Reilly, who is no stranger to calculated onslaughts." O'Reilly, however, later released his own statement saying he had been shown "depictions of nuns who were murdered" in El Salvador. The challenge: The Washington Post raised questions about O'Reilly's previous claims about his experience covering the "Troubles" in Northern Ireland. In one instance, O'Reilly wrote that he saw "Irish terrorists kill and maim their fellow citizens in Belfast with bombs." During an interview with conservative radio host Hugh Hewitt after the Mother Jones story was published, O'Reilly never said anything about witnessing a bombing in Northern Ireland. He told Hewitt he "went on a raid in Divis Flats with the police" and that "it was a pretty intense situation," but he said he faced no physical harm. O'Reilly's response: Much like the explanation for the El Salvador account, a Fox News spokesperson said O'Reilly didn't witness the bombings and casualties in Northern Ireland. He was just "shown photos of bombings by Protestant police officers," according to the Washington Post.